We had a fantastic day today at Blenheim culminating in Seacookie jumping a clear round in the show jumping to win the CCI***. With only one pole separating the top four competitors and clear rounds a plenty Seacookie had to be back to his very best form to fight off some strong competition. Bar just one nerve wracking rattle half way round the course he jumped superbly to clinch the win by 3 marks from Mark Todd (Conair). What a difference a week makes! 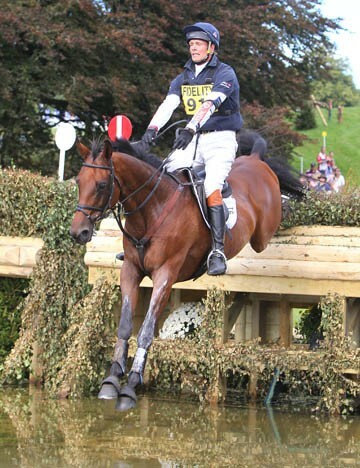 To have come back from a disappointing Burghley and to have felt so good at Blenheim was a huge credit to him. He felt like a completely different horse and has never felt so solid in all three phases. The Burghley outing must certainly have done him some good. Not only was this a fantastic result for his owner Catherine Witt but also for the whole team, and amazingly also secured me my 50th career three-day event win. Earlier in the day Bay My Hero had also done a fantastic job , this time across country, in the CIC*** to complete on a score of 44.8. He added just 2.8 time penalties to his dressage score to move up from fourth to finish 2nd. As always the CIC*** 8 & 9 yo Championships was a very competitive class with many good horses. I was delighted with how he felt and could not have been happier with how he performed. Although he couldn’t have done any more at this stage there is certainly more to come in the dressage and so I am very excited about his prospects for his first CCI**** run at Pau in October. 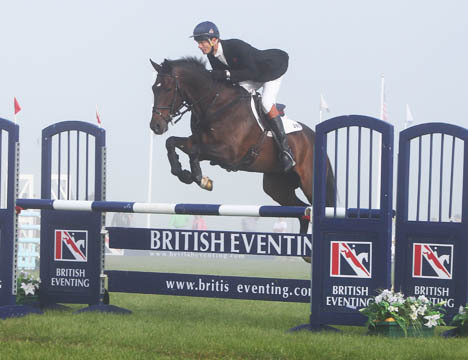 Blenheim 2012 was undoubtedly one of the best. Conditions were excellent and although drying up fast the going was good. The Blenheim team should get huge credit for what they achieved and really deserved the record crowds on Saturday. To view the full results for Blenheim please click here. Seacookie on route to CCI3* victory at Belheim this weekend.